Periorbital lines around the eyes have been called laugh lines or worse – crow’s feet. But the fact is they are still just unsightly crinkles and creasing around the eyes alluding to your true age. If you prefer to keep your age a secret, consider treatments to rid the skin around your eyes of crow’s feet. The SHAW Center offers many wonderful treatments to disguise, reduce or altogether eliminate crow’s feet. If you are noticing the beginning stages of crow’s feet, try a chemical peel or microdermabrasion procedure to remove the outermost layers of skin, resulting in a softer, smoother appearance. The use of a topical retinol cream after the procedure can help accentuate the results. Dermal fillers such as Juvaderm, Restylane/Perlane and Radiesse and others offered at the SHAW Center are non-surgical injectable agents that can effectively treat facial lines and wrinkles. The fillers offered at the SHAW Center contain all natural substances such as hyaluronic acid and/or calcium hydroxylapatite. Dermal fillers promise a smoother, more youthful appearance of the skin. Light/RF treatments can also solve your crow’s feet woes. The SHAW Center uses we the latest light technologies from Lumenis, Syneron and Alma to eliminate wrinkles via skin tightening procedures ranging from in-office light laser procedures to surgical laser systems for more dramatic results. The SHAW Center offers the following laser procedures: Intense Pulse Light Laser (IPL), ReFirme and Alma 360. Procedures to eliminate crow’s feet can also be used to correct laugh lines around your mouth, worry lines on your forehead and other age-revealing facial creases. As always, if you are considering any procedure, seek out professional experts such as the ones at The SHAW Center who are available to meet with your for an in-depth consultation designed to discover your age-defying needs. Exercise and the right clothes can make our bodies look more youthful. Makeup and anti-wrinkle cream can keep our faces young. But for the most part, our hands have had little to protect them from the ravages of time. Until recently. Cosmetic surgeons now offer a number of treatments to give aging hands a youthful appearance. People are taking advantage of them, too, particularly those who have cosmetic work done on other parts of their bodies. It’s a dynamic that Indianapolis plastic surgeon Bruce Van Natta expects will only increase over time. He, too, has patients who invest in a face-lift, then suddenly notice their hands. For Eileen Bewley, 53, the wake-up call came in the treble voice of a child. The question did not completely take Bewley by surprise. Fit, with blond hair and a self-described tendency to “act goofy,” Bewley frequently found herself mistaken for someone younger. Then her hands, which she described as being “skinny and wrinkled and veiny” would give her away. Prompted by this little girl’s tell-it-like-I-see-it question, Bewley decided to do something about her hands. She had Turkle inject Juvederm, a filler, to plump out her hands and give them a more youthful appearance. Interest in so-called “hand lifts” has increased in the past five years, says Dr. Michael Fiorillo, a plastic surgeon in New York City, with people staying in the work force longer. They may take pains to keep their faces youthful, but their hands stand out. “You see men in a business suit and the only thing showing in a business suit is your face and the back of your hands,” he says. Turkle sees mostly women seeking treatment on their hands, presenting problems that range from thin skin such as Bewley’s to dark, telltale age spots. All of the same unseemly things that happen elsewhere as we age also transpire in our hands. They can wrinkle, develop age spots and lose fat. Mix in sun damage — after all how many of us remember to spread that sunscreen down to our digits? — and you have a recipe for granny hands. That’s where plastic surgeons enter the picture. If your hands’ thinned appearance bothers you, you can rejuvenate them in various ways. A doctor can inject a filler such as Radiesse or Juvederm. This makes the veins less prominent, not unlike blowing up a balloon, Fiorillo says. In the past five years, filler use has taken off, Turkle says. Fillers are used in many places, including earlobes that some people feel look too thin and wrinkly. Using filler on hands would probably cost about $900 for both hands, assuming each requires one filler. Typically, these fillers last six months to a year, and the more times you have this done, the longer each treatment seems to last, Turkle says. For some, the filler effect can last even longer. Elaine Shaw had her hands done three years ago and has not returned. Shaw, 68, did only one hand for starters. Today, her hands still look younger, with the veins more concealed. Her face had always looked younger than her years, thanks to a sunscreen habit, and now her hands match, she says. She treats herself to manicures, and the combined effect draws comments. Not everyone, however, is a fan of fillers. Van Natta, a plastic surgeon with Meridian Plastic Surgeons in Indianapolis, prefers to use about an ounce of a person’s own grafted fat as a filler. Not only does this method last indefinitely, it also produces a better appearance, he says. However, it takes longer — about 2 1 / 2hours — and costs $4,500 to $5,000. For many people, it’s not just a matter of thin skin but also sun-damaged skin with freckles and sunspots. Lasers and other techniques can help with that. “Probably the ultimate treatment would be to do both — one is providing volume and the other is treating the surface of the skin to make the texture better and to get rid of some of the pigmentation and uneven appearance to the skin,” Van Natta says. In fact, much of what you can do to improve your face, you can do to your hands, Turkle says. 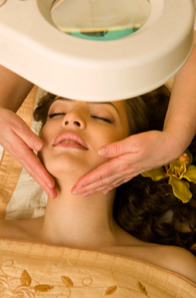 Microdermabrasion will stimulate the collagen, removing the top dead layer, and giving the skin a healthier appearance. Lasers will help erase brown sunspots and other discolorations. Years ago, when Susan Norton tanned, she never thought about what all those rays might do to her hands. As she hit her 40s, though, her hands started to display dark age spots. She hated them. She would often cross her arms or hold them down to hide what she considered her unsightly hands. After three treatments with a light laser, however, Norton loves the way her hands look. When her treatments ended about two months ago, Norton decided she was so pleased with the result that she would have laser work done on her face. After all, she figures, her face should look as good as her hands.